Oil doesn't have to be the enemy. Make your food sizzle with healthy choices that boost nutritional content—and your gains. Getting busy in the kitchen? You&apos;re going to need a little bit of fat to add flavor and moisture and keep food from sticking in the pan. While some fats can handle the heat, others don&apos;t fare so well, losing their original taste and nutrition content in the cooking process. Oils which do hold up (i.e., have higher smoking thresholds) tend to be best for cooking, at least for those of us who prefer our meals without a side of char. Find out how to pick the best fat for cooking any dish. Oils tend to handle higher temperatures better than solid fats, which burn more quickly. Additionally, cooking with oil versus butter or lard is generally a better—and often more flavorful! —option for people trying to minimize saturated fats. "Olive oil takes first place in the Great Oil Marathon." Olive oil takes first place in the Great Oil Marathon (yes, we&apos;re making that a thing). It&apos;s most flavorful in its raw, uncooked form, but it&apos;s also a winner for cooking, too. Olive oil is extremely rich in monounsaturated fats and a great source of phytochemicals, which might help prevent some types of cancer. And compared to other fats, research suggests extra virgin olive oil was more likely to increase a person&apos;s feeling of fullness after a meal. Some recent research indicates that the Mediterranean diet staple might even make us happier. 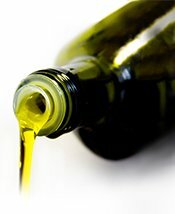 Olive oil is best consumed "cold-pressed" (literally pressed out of the olive, with minimal heat involved). Avoid "pure olive oil," "light olive oil," or simple "olive oil" labels for maximum flavor and nutrition, at least when eating it cold. While heating olive oil will strip it of some flavor and enzymes, a high-quality bottle is a cooking essential. Canola oil is a heat-friendly, cooking-friendly, budget-minded staple. It&apos;s also a great source of essential fatty acids like lineoleic acid (omega-6) and alpha linolenic acid (omega-3). The body can&apos;t make these compounds on its own, so it&apos;s ultimately up to our diets. While most people get their share of omega-6 nutrients from everyday meals, it&apos;s less common to get enough omega-3 nutrients, which may have been linked to the prevention of heart disease. In addition to fatty fish and canola oil, other sources of omega-3s include flax, walnut, and hemp oils, though canola can handle the heat and is still tops for cooking. This kitchen all-star can withstand some seriously high heat, making it a go-to for frying. 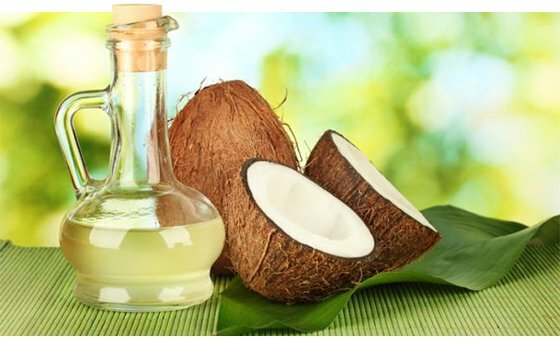 And while it has a high amount of saturated fat, coconut oil has been tentatively linked to overall reductions in blood lipid content—including excess triglycerides, the clog-happy stuff rolling around in our blood vessels. Coconut oil has numerous other health benefits, like promoting weight loss and a healthy digestive tract, and it can be a useful tool when applied in moderation. And don&apos;t worry about making the kitchen smell like Gilligan&apos;s Island—the "virgin" variety is virtually scent-free. "This kitchen all-star can withstand some seriously high heat, making it a go-to for frying." Want to get off the beaten track? Explore cooking with slightly more exotic options: safflower, avocado, sesame, sunflower, grape seed, and almond oil. Many alternative vegetable oils are high in polyunsaturated fats, which may lower blood cholesterol levels and risk of heart disease. The downside? These fancy groceries tend to be a bit on the pricey side, so use them sparingly. When it comes to incorporating cooking oil into an everyday diet, it all comes down to heat. To retain their fatty acid content and avoid burning, flaxseed, walnut, and hemp oils should only be used as condiments or in salad dressings. The oils showcased above are all cooking-friendly. If experimentation with these oils in the kitchen doesn&apos;t quite go according to plan, rub them on the face for a moisturizing facial and call it a day. Though maybe that&apos;s an entirely different article. Greatist, headquartered in NYC, is a health and fitness media startup on a mission to make better choices easier for everyone.